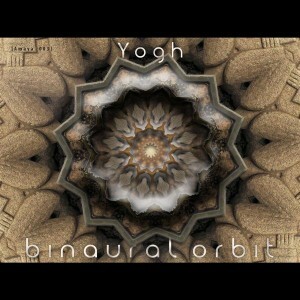 Binaural Orbit is the debut of Yogh and the third release from Amaya Productions, Germany. This release features deep bass lines, lots of playful sounds, and vibrant elements inviting you into a trippy psychedelic wonderland filled with lovely flashes of creativity. Get it now and don’t forget to fasten your seatbelt! Mastering by Anomalistic Studios with artwork by Draghul and Yogh. MP3 Download | FLAC Download | WAV Download · Download count: 8,669. Beautiful production & funky spirits !!!! Great debut ! Like all the tracks, cool grooves ! But track 2 really does it for me, what a banger ! Ola, bom dia, sou Bruno Amaral, quero relatar um problema que sempre acontece comigo ao fazer dowloading dos álbuns. Toda vez que tento baixar começa bem, mas no meio do downloading ele cai, ja baixei diversos compiled e álbuns solos, mas agora sofro um pouco com esse problema, tenho que ser insistente quase toda vez para conseguir. É a primeira vez que faço uma critica a Ektoplazm, venho também agradecer por estar sempre proporcionando Trance de qualidade, underground e de variadas vertentes, pois sem Ektoplazm eu eu estaria perdido. What a rythamic dose! I like all the 3 tracks..blasting debute! This is really amazing. A complete soundworld, perfect production, great ideas.